Posted April 2, 2019 – About 50 professors and graduate students from the University of Houston College of Education will share their research on teacher education, English language learners, school leadership and other important topics at the upcoming American Educational Research Association conference. 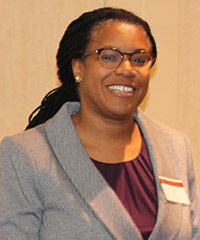 Conra Gist, an associate professor in the Department of Curriculum & Instruction, will receive the AERA Division K (Teaching and Teacher Education) 2019 Early Career Award. The committee noted Gist's "strong publication record" and practical impact of her work focused on teacher diversity. 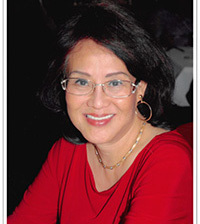 She serves as co-editor of the forthcoming AERA "Handbook of Research on Teachers of Color." In a letter to Gist, the committee said: "You have established yourself as a leading junior scholar in the areas of critical teacher education and teaching, while holding a strong commitment to issues of diversity, justice and equity. You are involved in key policy decision-making that seeks to cultivate a more diverse, responsive and effective teaching force." 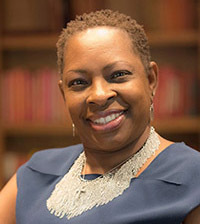 Detra Johnson, an assistant professor in the Department of Educational Leadership & Policy Studies, will receive the 2019 Social Justice Teaching Award in Educational Administration from the Social Justice Special Interest Group for her "impeccable record of preparing social justice leaders." Johnson teaches aspiring school leaders in the College's graduate program. Yali Zou, a professor in the Department of Educational Leadership & Policy Studies, will receive a 2019 Narrative Research Outstanding Publication Award from the Narrative Research Special Interest Group. Zou, who also directs the UH Asian American Studies Center, is being honored for her co-authored article "The embodied nature of narrative knowledge: A cross-study analysis of embodied knowledge in teaching, learning and life" in the journal Teaching and Teacher Education. Paige Evans, a clinical professor in the teachHouston program, will also receive a 2019 Narrative Research Outstanding Publication Award from the Narrative Research Special Interest Group. Evans, who trains undergraduates majoring in math and/or science to become high school teachers, is being honored for her co-authored article "The embodied nature of narrative knowledge: A cross-study analysis of embodied knowledge in teaching, learning and life" in the journal Teaching and Teacher Education. Also of note: Guillermo Ortega, a doctoral student in the higher education program, received a travel award from the Research Focus on Education and Sport Special Interest Group. And he was selected to participate in the Division J Emerging Scholars Workshop. His research focuses on the experiences of Latino male student athletes. The conference, which takes place April 5 to 9 in Toronto, will bring together thousands of scholars around the theme of "Leveraging Education Research in a 'Post-Truth' Era: Multimodal Narratives to Democratize Evidence." 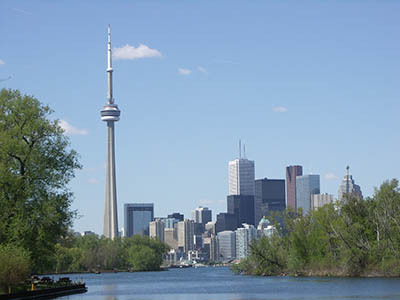 About 50 UH College of Education members will present at the AERA conference in Toronto. "AERA is an extraordinary space to show our passion for education, as we mentor our students to become a voice in the field of education," said Elsa Gonzalez, an assistant professor of higher education. "It is certainly an invaluable networking opportunity," added Vincent Carales, also an assistant professor of higher education. Associate Professors Sissy Wong and Jie Zhang, of the Department of Curriculum & Instruction, said they look forward to presenting and learning. "The AERA conference provides a great platform where we can disseminate our research and connect with scholars who share the same research interest," Zhang said. The College of Education has two members who hold the honor of being AERA Fellows: Dean Bob McPherson and Professor Jerome Freiberg. Explore the list of all AERA presentations featuring UH College of Education members. Stress and Coping of Bilingual Teachers: Can Teacher Well-Being Mitigate Attrition? "Supporting Low-Income Students’ College Transition: Factors Related to Sense of Belonging in the First Year"